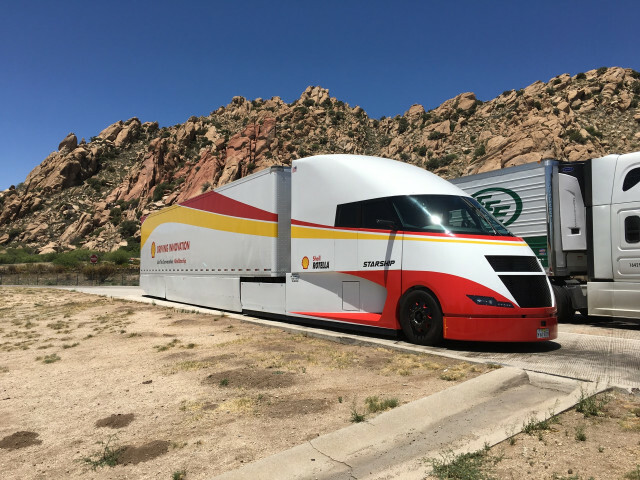 The streamlined Shell Starship Airflow semi truck has made it to Florida on its cross-country fuel-economy record run, and the results have been tabulated: The truck posted 28.4 percent better fuel economy than the average truck on the road, while carrying significantly more weight. The Starship averaged 8.94 mpg, compared with 6.4 mpg for the average truck. A better measure, say the truck's sponsors, is freight-ton efficiency—the number of miles such a truck can transport one ton of freight on a gallon of diesel fuel. The Shell Starship, carrying 39,900 pounds of material to be deposited in Florida waters to create a new reef, posted a freight-ton efficiency of 178.4 mpg. The average truck, carrying 22,500 pounds, returns about 72 freight-ton mpg. That represents a 248 percent improvement in real-world efficiency. 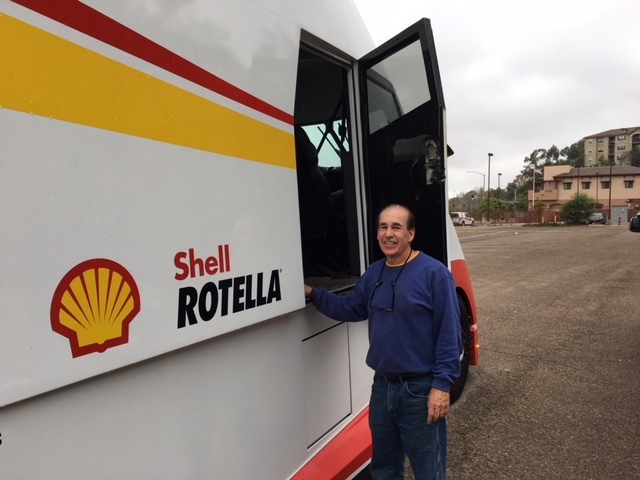 The Starship, with its aerodynamic carbon-fiber cab and fully faired trailer, accomplished this despite torrential rains and unplanned stops on the trip due to hurricanes. The North American Council on Freight Efficiency, a spinoff of the environmental organization the Rocky Mountain Institute, calculated the fuel economy results and provided typical trucking numbers for comparison. NACFE says that if all 2 million trucks in the U.S. were as efficient as the Airflow Starship, it would save 229 million tons of CO2 emissions a year and reduce the CO2 output from American trucks by 60 percent. California is making efforts to convert trucks in Los Angeles, where the ports of Los Angeles and Long Beach handle 40 percent of the goods imported and exported to and from America, to electric power, which could also have a huge impact on fuel consumption as well as pollution. Those trucks, however, are not yet designed for such a cross-country run.